Baseball legend Yogi Berra once said, “When you come to a fork in the road, take it!” The phrase “fork in the road” is often used metaphorically to describe those deciding moments in life when a major decision must be made. Is this the person I want to marry? Is this the career I should pursue? Should I make this move to another state? Here is the key that unlocks the door leading to the life God is calling us to live. And the reason this is so profoundly true lies in the fact that much of what you and I consider to be “understanding” is actually misunderstanding . . . simply because our understanding is broken! Often we don’t see things as they truly are, but rather as we want to see them. Our interpretation of what is going on around us is just that: our interpretation. That is why we must look above and beyond ourselves and seek out the wisdom that will carry us through every fork in the road and onto the straight path God has prepared for us. Notice that Scripture is not telling us to turn away from understanding. That is the siren song of the world, which frequently tells us to “Follow your heart.” That is devastatingly bad advice! Scripture says flatly that our hearts are “deceitful above all things, and desperately wicked” (Jeremiah 17:9 NKJV). And we’re supposed to follow our hearts?! God’s wisdom book of Proverbs never instructs us to follow our hearts, but rather urges us to “Incline our hearts to understanding” (Proverbs 2:3); exhorts us to “Buy wisdom, instruction, and understanding” (Proverbs 23:23); and reassures us that “Understanding will guard us” (Proverbs 2:6). In the passage featured today, we are told to turn away from our “own understanding,” which simply means an understanding that is the product of our own conclusions, drawn apart from the wisdom of Almighty God. Now, to trust in the Lord with all our heart is to trust Him even when we cannot trace Him. To be sure, we cannot see things from God’s perspective. He sees everything, from beginning to end, and He knows what is best for us. God’s perspective is eternal, and therefore He guides us into what is eternally best, which is often not what we feel to be best in the moment. When Solomon penned Proverbs 3:7, saying, “Do not be wise in your own eyes,” this was another way of saying “Do not be a fool”—one who keeps his or her own counsel when infinite Wisdom is at our disposal. 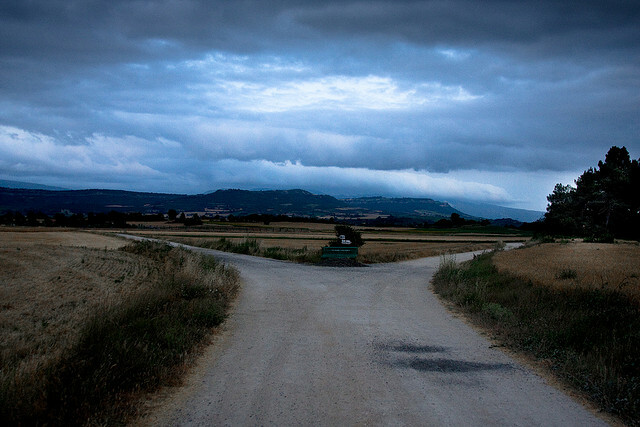 What God would have us do at every fork in the road is to prayerfully consider which path He would have us take. That big promotion at the office might give us more income but take away significant time with our families. A particular course of study might land us a high-paying job, but may very well not be work that brings us joy and may not be where God wants us to serve. To be faithful at the fork in the road requires us to look to the Faithful One. This requires time in His Word, time on our knees, and time with other godly people who will often provide perspective we do not have. Make no mistake, understanding that comes from above will keep us on the straight and narrow here below. You have His Word on that!